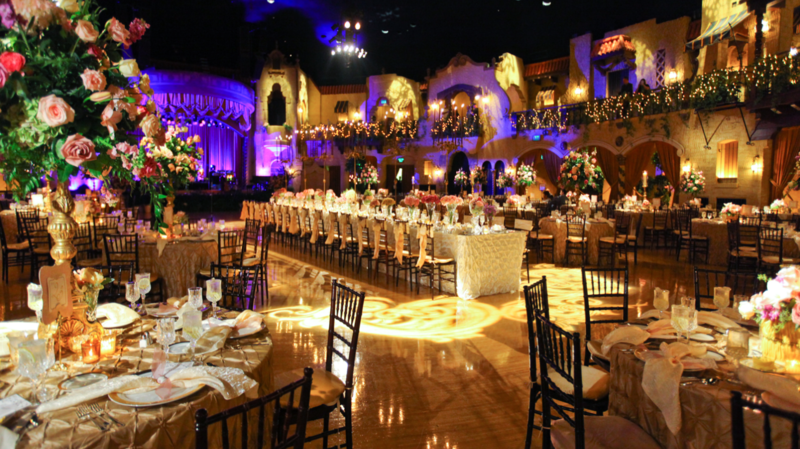 The Indiana Roof Ballroom is the premier event space in Indianapolis and is able to accommodate any event, ranging in size from 100 to 1,500 guests. 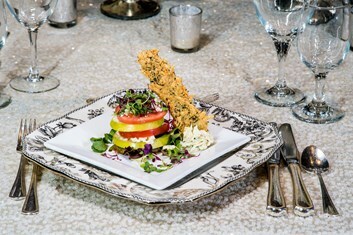 Our reputation for fine dining, excellent service and an unparalleled atmosphere has attracted weddings, corporate and social events here for more than seventy-five years. 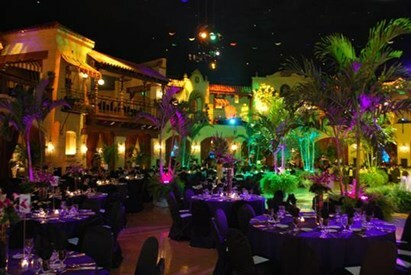 Located in the heart of Downtown Indianapolis, our unique venue specializes in ambiance, excellent service and providing a not-to-be forgotten event experience. The Indiana Roof Ballroom is by far my favorite venue in the city to plan events at! Jeff and Antonia are fantastic to work with and I never have to worry about a single thing when my event is at the IRB!! While Kile put in most of the leg work with us, we saw the entire team, Kile, Jeff, and Antonia, during every meeting. They made us feel like we were the only wedding they were planning for! The planning was stress free!! The day of service was impeccable. From the second we arrived, they made us feel like royalty. They took care of the bridal party and made sure we had everything we could ever want. They made sure the rest of the guests were taken care of with A+ service as well- we've received so many compliments about the service! The venue is definitely the prettiest one in Indianapolis. 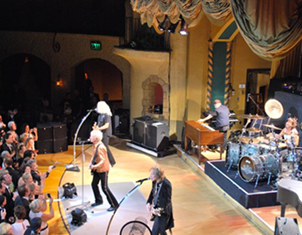 We used the IRB for my daughter's wedding, and we had an absolutely wonderful experience. Kile did a great job assisting us on the sales side, Craig and our security person did a great job assisting on the day of the wedding, and Jeff, our wedding planner, just knocked it out of the park!! He was absolutely fantastic!! Met all of our needs before we even knew we had them. We had the very best experience ever!! I had my reception at The Roof and it was beyond my wildest dreams. The second we got there they were there by my side the whole night to make sure that everything was moving along smoothly, that everyone knew where they needed to be and when, and they made everything perfect. 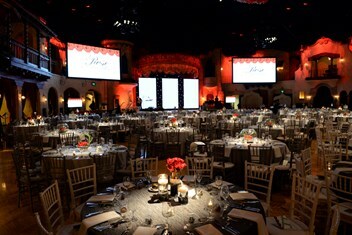 I was blown away the first time I actually stepped into the ballroom because it was so gorgeous. 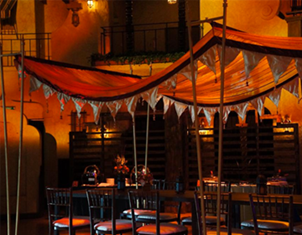 Just absolutely perfect and the staff there are true wedding experts and professionals. If anything went wrong I never knew about it because they took care of it! We had a great experience and received a lot of positive feedback from our event guests. We're looking forward to coming back again in 2017! We had an absolute blast and an unforgettable evening! Most importantly, our friends and family have not stopped talking about how amazingly beautiful the ballroom was and the spectacular service they received while being there. Jeff, Craig, Antonia, Kile, we knew you and your staff would be great but you truly exceeded our expectations. We were even surprised by some of the ballroom theatrics! 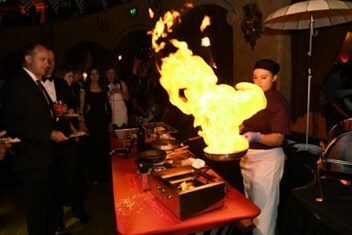 Also we got great reviews on the food and drinks. Everything combined to make the night perfect. Thank you again for making our special day that much more magical!!! We had an absolutely perfect day and couldn't thank the staff enough for perfecting every detail! We had no wedding day disasters and couldn't have pulled off the event without all of your help. The staff kept the event running perfectly and treated us exceptionally! As my mom said, the staff exceeded our expectations!! You guys are the best at what you do. Made the best night of our lives, even better. Thank you so very much. We were so happy with how our reception turned out. It definitely exceeded all of my expectations and our guests are still talking about it. Anything we needed or asked about was answered or attended to immediately. The attention to detail couldn't have been better. The lighting was perfect and the service was amazing. Thank you!!! 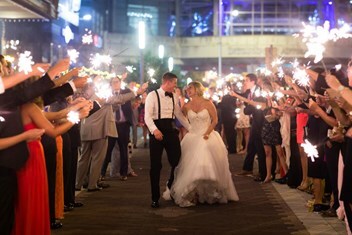 We are so glad we chose the Indiana Roof Ballroom as the venue for our wedding and reception. The staff was amazing, the food was delicious....everything about our day was perfect. Thank you to everyone at the Roof for making our day so special and one to remember for a lifetime! The A/V services were great, being very flexible to some of our last-minute requests. The food was amazing and the decor was outstanding!!! !